OXFORD, England (CNS) — Belgian Cardinal-designate Jozef De Kesel “isn’t a fighter, but a highly prudent man who’ll always seek dialogue,” said one of his auxiliary bishops in the Archdiocese of Malines-Brussels. Pope Francis will consecrate Cardinal-designate De Kesel and 16 other new cardinals Nov. 19 at the Vatican. Bishop Kockerols told CNS the new cardinal had enjoyed “public sympathy” since being installed in the archdiocese in 2015 and had been well treated as a conciliatory figure by secular media. The cardinal-designate replaced Archbishop Andre-Joseph Leonard, who was found guilty of misconduct by a Belgian court over his handling of sexual abuse. Earlier, Cardinal-designate De Kesel served as bishop of Bruges, after the abuse-linked resignation of Bishop Roger Vangheluwe. “Although erudite and well-read, he’s also open to the poor and simple — a man in the image of Pope Francis, who takes people as they are and preaches mercy as well as truth,” the auxiliary said. He said the new cardinal’s years as a schoolteacher had given him a good understanding of young people, while having a sister with Down syndrome had made him sensitive to disabilities. 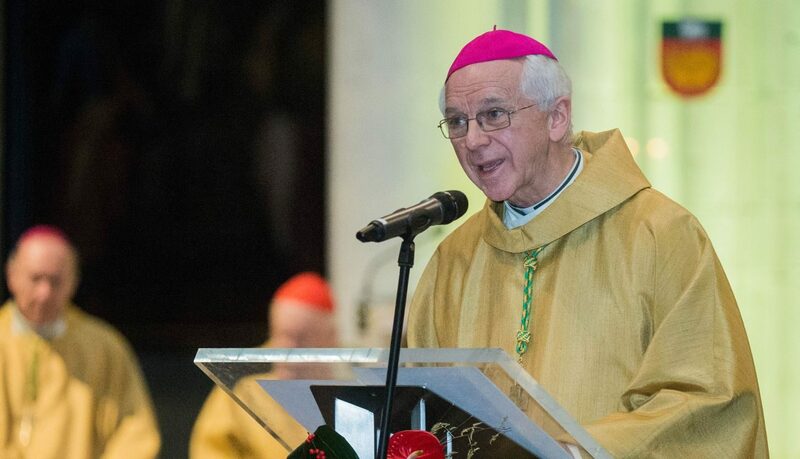 In 1972, Cardinal-designate De Kesel’s was ordained by his uncle, Auxiliary Bishop Leo-Karel De Kesel of Ghent, and six priests who also were relatives.